I've heard good things about the barefaced One 10 - that they push more air than standard 10” speakers. Never seen one in the flesh though. The CX210 will compliment this rig SO well!!!!!!! Keep in touch with me online! 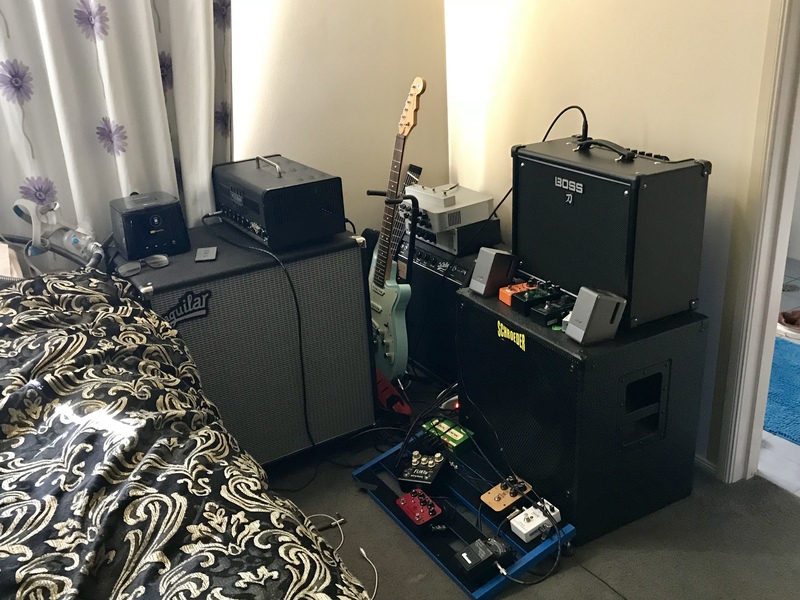 My GK/Phil Jones Rig. 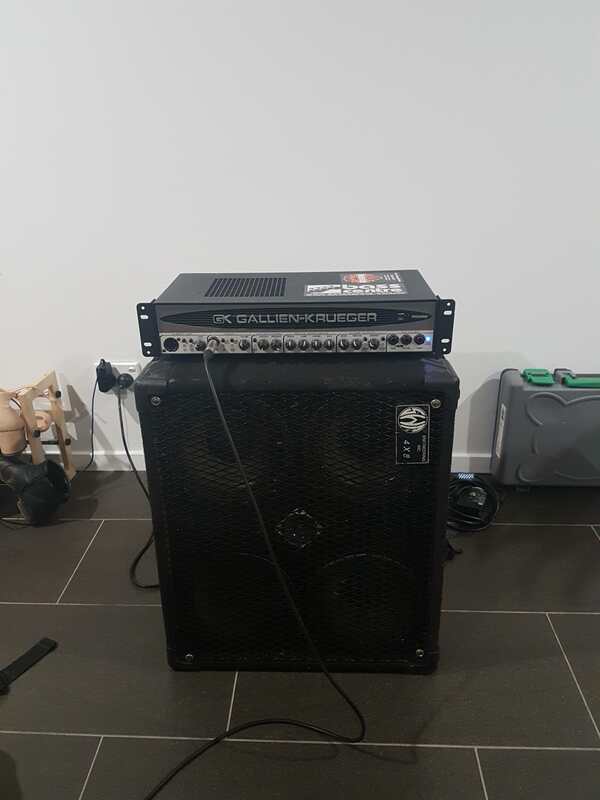 800w head + 800w cab both at 4ohms. Can somebody say POCKET ROCKET!!? Kind of new rig day this week. Got my GK700RBII out of storage - I haven't used it in years. I have been looking at cabs, tried pretty much everything I could find in stores sub $1000 and walked away with an SWR 4x8. Sounds good to me, not quite as articulate as the Rumble 115 A/B'd it with but the price was right. That's half a Henry8x8". What's the bottom end like? The Henry I tried was so enormous I thought I'd blown the tweeter! Having not played the 8x8 I can't quite comment on the comparison. I think it has good low end - it doesn't fart out and remains reasonably articulate. Apparently it's not quite half an 8x8 as it is has a single rear port vs 3 front ports on the 8x8. 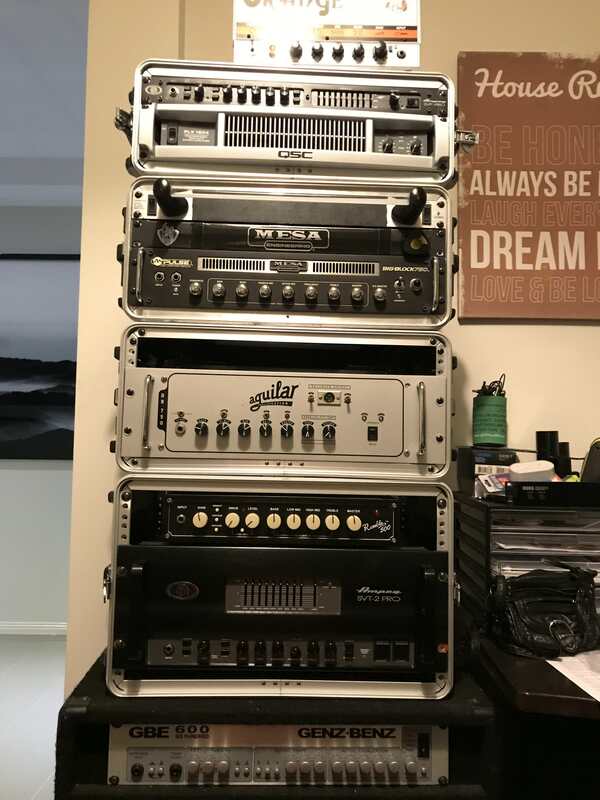 The funny thing reading threads on the 4x8 on Talkbass is the cab simultaneously has Monster lows, no lows but heaps of low mids, no low mids etc. The one thing everyone agrees on is that it has fragile speakers. In fact one of the ones in my cab has been replaced but I suspect it was with a later OEM speaker as it 32 ohm and they are hard to buy off the shelf. Last nights rig is now our sound tech’s favourite of my amps. He described it as having the authority and girth of an all tube amp but with a little more clarity, the SVT2PRO comes a close second in his opinion. Personally I’d rather stand in front of the Ampeg but only by the slenderest of margins. 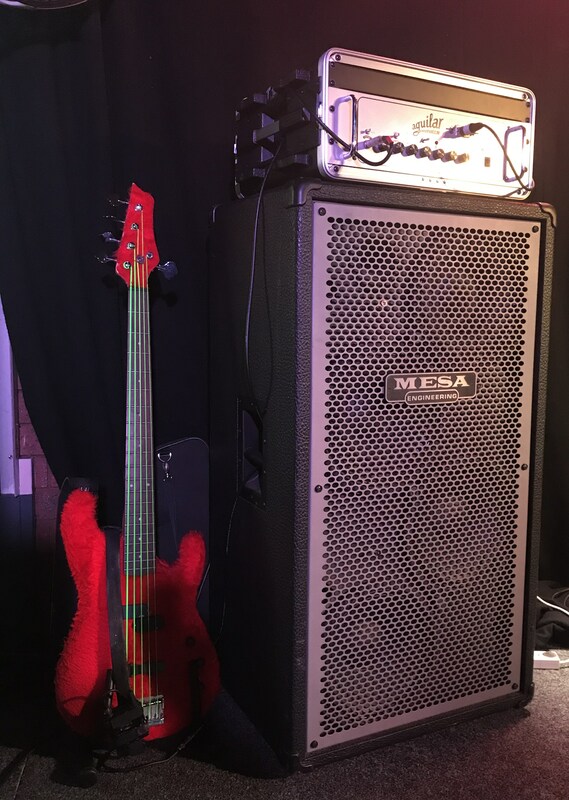 This rig is an absolute monster, in both tone and weight. This is the result of the wife kicking me out of the spare room so a friend can stay. I now have a 212 Aguilar side table in my bedroom. Man win ? I should run my Mesa as a night light.